For months Rick Elliott was telling anybody prepared to listen that Don Cossack would win the Cheltenham Gold Cup. He was so convinced that Many Clouds would win the 2015 Grand National the summer holiday was booked before the race and his winnings covered the cost. Thrifty Fifty is an EXCLUSIVE service that will not only give you the horses to follow between October 2017 to April 2018, but will also keep you posted each day with special notifications detailing when the horses are running etc. etc. CLICK HERE FOR FULL EXCITING DETAILS! It's like the Tote’s 10 To Follow but five times bigger and better. You will get horses running all the time so potentially five times the profit! The horses have been selected across the different disciplines of hurdling and chasing and Rick has thrown in a few bumpers so we have all angles covered for a successful jumps campaign. CLICK HERE FOR A THRIFTY JUMPS SEASON! Each day throughout the jumps season Rick will message Thrifty Fifty members at approximately 10:00 am with full details of the runners, best odds and the recommended bookmaker. I firmly believe Rick Elliott’s Thrifty Fifty To Follow For The Jumps will be the real deal from now to next April and can outperform any similar lists. NB With no less than 50 horses to follow and Rick keeping you in the loop at 10:00 am each day this is a service that's not to be missed by any jumps racing fan! I'm trying to remember when I decided to add George Washington to my horses to follow list and I must confess he has given me cause for concern on a number of occasions. Not on account of his racing, mind but because of his extravagant personality - an equine version of Muhammad Ali. George Washington was one of the best rated racehorses of his time and his jockey, Mick Kinane said he had never ridden better. His latest caper came on September the 23rd 2006, when, at the end of a great run he proved his doubters wrong by running away with the Queen Elizabeth II Stakes at Ascot. He was nowhere with a little over 3 furlongs left in the race, but under jockey Mick Kinane, was already heading the field with around half a furlong to run. But it has not all been plain sailing with our George, as he has a temperament at odds with his brilliance. He would beat himself up on occasions before a race and refuse to leave the unsaddling enclosure afterwards, until a stable mate accompanied him. An enigma, obviously, but a horse to follow? His sometime jockey, Kieren Fallon said he had an enormous ego and tended to look down on his stablemates, intimidating them with his airs and graces. Foaled at Coolmore Stud by champion sire Danehill on March 1st 2003, the colt was to enjoy every benefit of the famous Irish training school under the supervision of Aidan O'Brien. Coolmore Stud, located in County Tipperary in Ireland was established by Tim Vigors in 1975. George Washington couldn't have chosen - given the opportunity - a better place to see the light of day, as the farm is the biggest and most prestigious thoroughbred racehorse breeding operation in the world. Endowed with a bloodline like his, and being trained by Aidan O'Brian, there was no way this horse would end up a failure. His first race though, seemed to foreshadow something different. 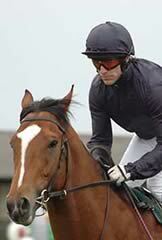 He was defeated in his first maiden race on May 1st 2005 at Newmarket. He finished 3rd over five furlongs, not a bad first effort but still well shy of victory. It would appear that he had a serious peptalk down at the stables with Aidan O'Brien as he rebounded seriously for his second race. Only three weeks later he scored a dominant win at the Curragh over 6 furlongs, followed soon by another win in the Group II Railway Stakes. It was at this point I decided to include him in my horses to follow list. From then on it was all victories for our George, he won the Group I Phoenix Stakes and the Group I National Stakes in September 2005. Though he was declared to race in the Dewhurst Stakes as well, he was withdrawn on account of the ground not being suitable. Thus ended his career as a two-year old colt, with few disappointments and a series of great results which ultimately earned him the Cartier Award for Two-Year-Old European Champion Colt. His career as a 3 year old had a great jumpstart as well: victory in the 2,000 Guineas at Newmarket, ahead of Sir Percy. This win also represented a landmark for trainer Aidan O'Brien, as it was the 4th straight time that horses trained by him won this race ( King of Kings, Rock of Gibraltar and Footstepsinthesand had all won it beforehand ) By then already a favorite on horses to follow lists and with offline and online gambling venues the Irish 2000 Guineas were to be a disappointment for more reasons than one. Not only did he finish second, ( behind Araafa) but he also tore the muscles in his forelegs during his final surge. Word has it, it happened because of adverse ground conditions. Because of this accident he was sidelined for a while and his below-average performance ( 3rd place) in the Celebration Mile upon his return didn't really come as a surprise. Certainly no cause to remove him from my horses to follow, especially as he really did seem to be missing the break under Michael Kinane, his new jockey. 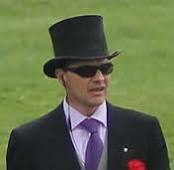 What surprised everybody was the way he won his main season target, the Queen Elizabeth II Stakes, at Ascot,despite a rain-soaked track. 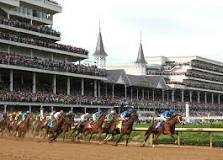 His next season target is the Breeder's Cup Mile, in Churchill Downs Kentucky. Very popular with online betting sites (with odds of 7/4 given by Coral and Will Hill he's definitely in the postion of the favorite for that race. A truly exceptional racehorse, with 6 career victories, one second place and two 3rd places, George Washington is said to be out of training for the 2007 season so I may reluctantly have to finally omit him from my horses to follow. George Washington's life came to a tragic end on a rain sodden track at Monmouth Park (USA) when competing in The Breeders Cup Classic (dirt)on October 27th 2007. Entering the straight he incurred an open fracture of the cannonbone in the right front fetlock joint and also fractured both sesamoids and had to be humanely destroyed. Retired to stud after the 2006 Breeders' Cup Classic, he was put back into training this year (2007) after being found to be infertile and although he ran creditably during this time he failed to recapture the form of his previous triumphs.